I’m double dipping with my Fashion Friday posts today. This is the first of two posts you’ll see from me today – clearly I had a lot to share! This post is about Joseph Nogucci jewelry. I received 3 really cool bracelets from them last month and I’ve worn them out on several occasions and received all sorts of compliments! 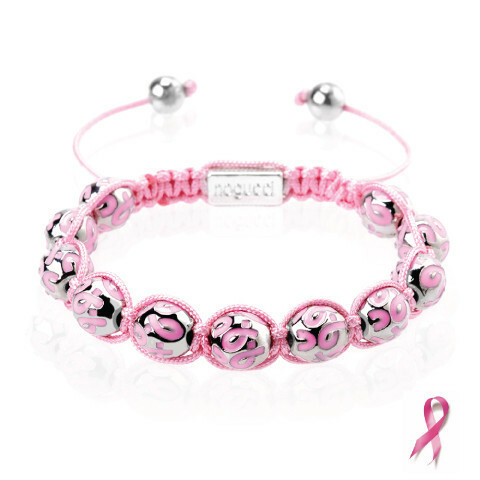 The first is this Pink Ribbon Charmballa bracelet ($59 MSRP) which was a really cool one for October and Breast Cancer Awareness month. It has a cool pink nylon cord that expands and closes by tugging on it so you can slip it on and off easily. I think it’s just gorgeous and it’s adorned with pink ribbons which is a special reminder of the cause that has touched so many lives. 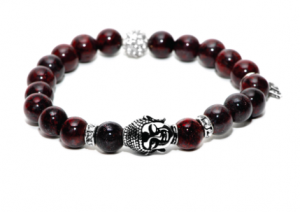 I also received the Hopeful One – Pink Dharma Stone Bracelet ($39 MSRP) - A silver plated Tibetan Buddha head, brilliant Swarovski Elements crystals and Pink Jade Stones. This week’s Fashion Friday linky will have a big giveaway of some Joseph Nogguci products so check the link below for info on how to enter!Disclaimer: I received sample products to facilitate this review. As always, all thoughts and opinions are my own.